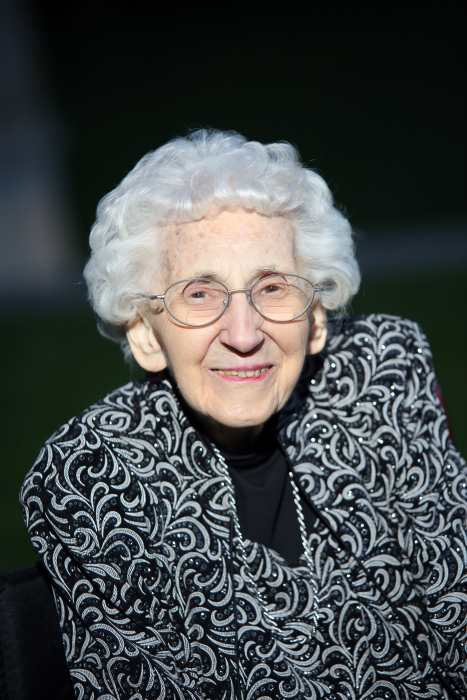 Alline C. Eichhorn Doyle, 95, of North Royalton, Ohio and formerly of Erie, Pa., died on Saturday, April 6, 2019 in North Royalton. She was born on August 10, 1923, in Erie, daughter of the late August Carl and Corrine Elizabeth Bohman Eichhorn. She earned a bachelor's degree in education from Penn State University and taught elementary school in Philadelphia, Pa. and Cleveland, Ohio, following her graduation from college. Mrs. Doyle was very family oriented taking care of her parents as they aged and enjoying her time spent with family, especially her three wonderful grandsons, David, Jesse and Stephen. She was the last surviving of her brothers and sisters. She loved animals, especially birds and enjoyed feeding birds and deer. She also enjoyed playing Scrabble and card games. In addition to her parents, she was preceded in death by her husband of 59 years, John Doyle in 2006; two sisters, Jean Batten and Winifred Reese; and a brother, Dr. John Eichhorn. Survivors include a daughter, Cynthia Mason of North Royalton, Ohio and three grandchildren, David Mason and wife Chloé of Charlotte, North Carolina, Jesse Mason and wife Helen Qin of Cleveland, Ohio and Stephen Battle and wife Brooke of Long Island, New York. Family and friends are invited to a graveside service on Monday, April 15, 2019 at 12:00 Noon at Erie Cemetery, Section 10, 2216 Chestnut Street, Erie, Pa. The Rev. Richard A. Moyer will officiate. Arrangements have been entrusted to the Scott Funeral Home, 2104 Myrtle Street, Erie, Pa.